The anti-rabies campaign is one of Friendicoes’ core public awareness activities. 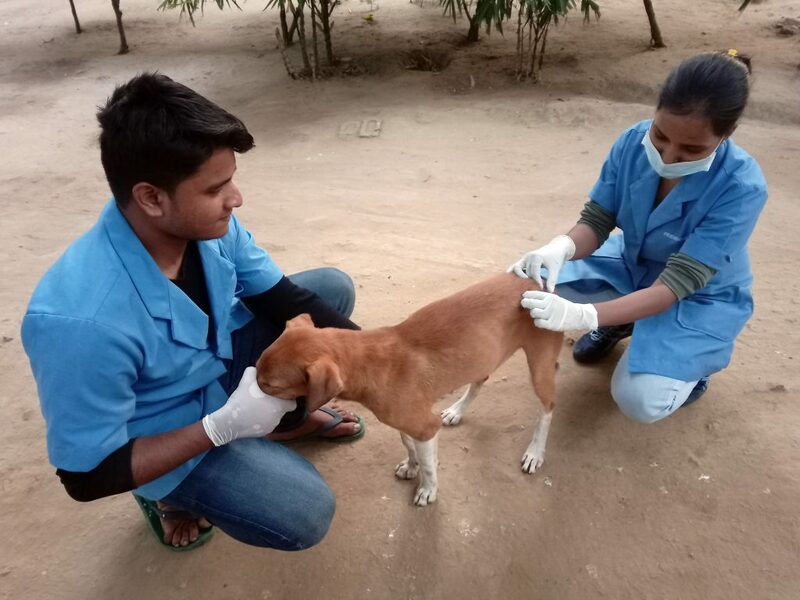 Contributing to eradicating rabies is important to us because it ameliorates the relationship between humans and animals, especially dogs. Once animals are not seen as a threat, as carriers of a deadly disease, it’s easier for humans to see them for the truly innocent and harmless creatures that they are. So as part of this, Friendicoes immunized 44 dogs on 1st October in conjunction with West Delhi MCD in Janakpuri market. For a camp like this, we send teams comprising of an ambulance driver, dog catchers, and para-vets. The dogs are caught and administered an anti-rabies vaccine (sponsored by the local municipal corporation) and released back immediately. Our teams from Bijwasan and Tilangpur Kotla centers participated in the camp. We were heartened to receive enthusiastic support from the West Delhi municipality, and the proactive support of the local residents! Take initiative! Call your principal councilor today and get them to organize an anti-rabies camp in your locality today to make it #rabiesfree and a happier place for both humans and dogs!